and quickly deliver enterprise-scale prototypes. Create campaigns that get the ideas flowing and let your team take on a wide range of problems. 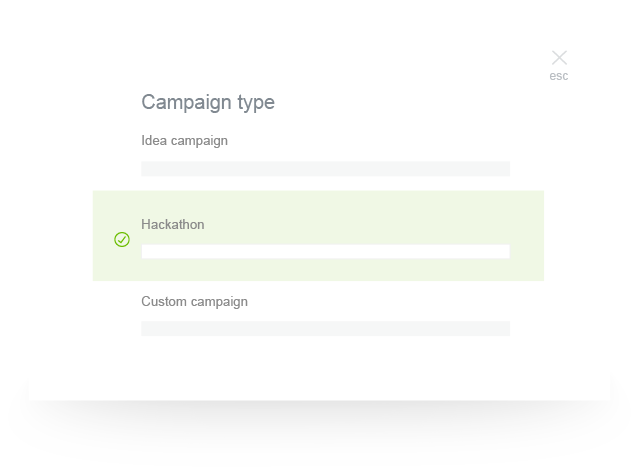 That's not all; you can even customize your campaigns based on your team's size and requirements. While your team is busy taking on tough challenges, you can manage their ideas and submissions with total ease. 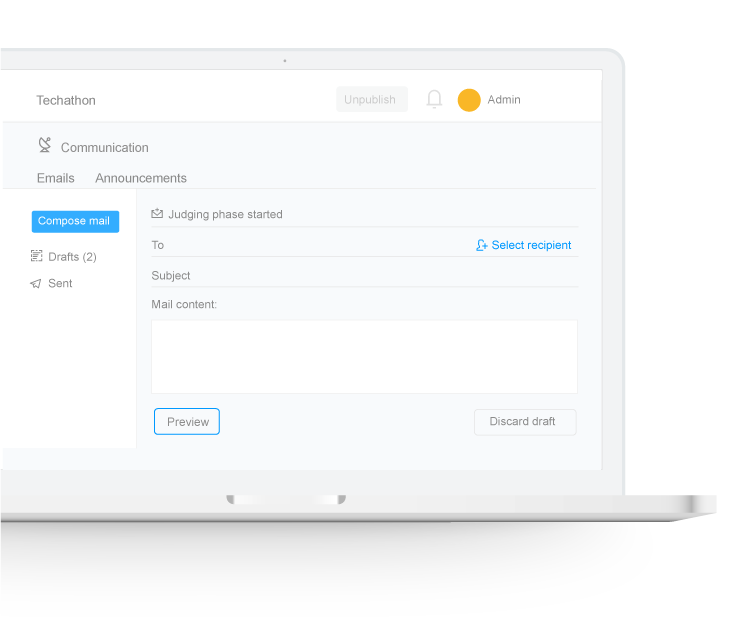 Quickly set up privacy options for your team's ideas and prototype submissions. Add or remove campaign phases, or even schedule them as per the different time zones. Send out automated announcements to participants, keep them regularly updated about the campaign, and also tune into discussions about ideas, submissions, and just about anything that impacts your campaign. 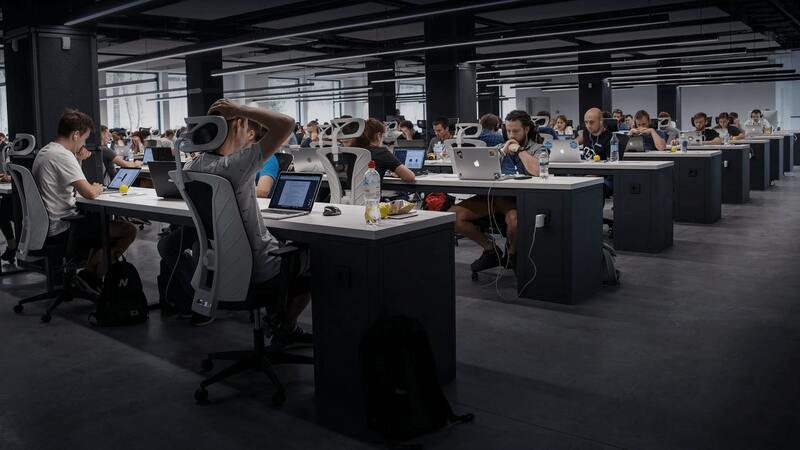 Whether your campaign brings in hundreds of submissions or thousands of ideas, evaluating them with the help of an internal jury or a peer network within your organization won’t be a challenge. With detailed analytics, rich charts, and actionable insights by your side, you'll get to know what's working for your campaign and find out what isn't. 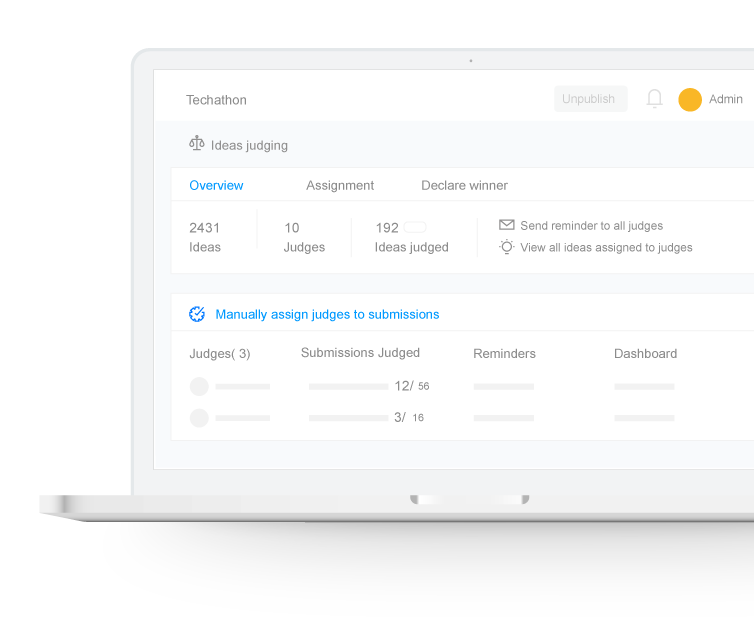 The campaign dashboard also tells you how engaged your participants are and gives you a complete lowdown on the winning ideas and submissions.